Splendid Direction Sdn. Bhd. 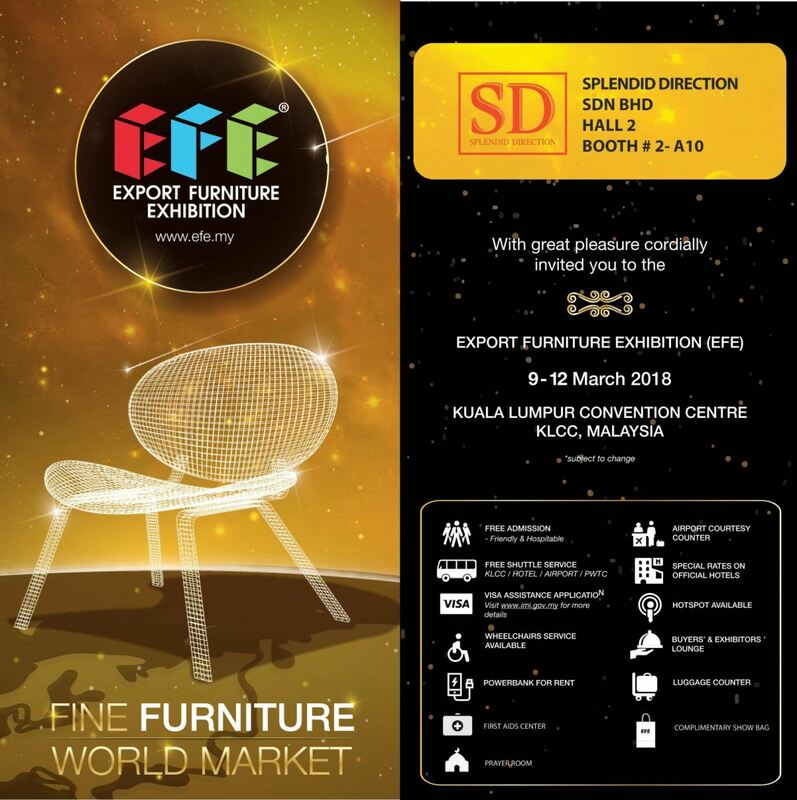 - Splendid is specialized in design and manufacturing of leather sofa and leather recliner chair in Malaysia, Johor. 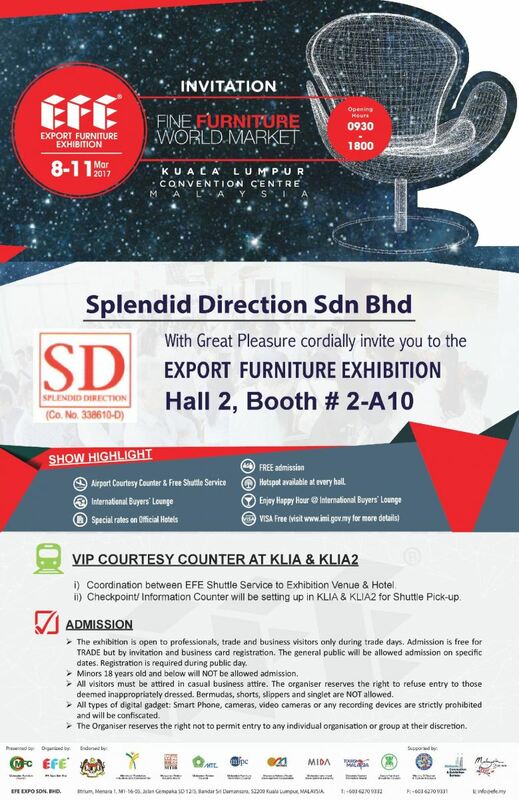 Splendid Direction Sdn Bhd (Splendid) was incorporated in Malaysia on 4 th April 1995 as a private limited company led by our Founder / CEO who has over 25 years of experiences in manufacturing furniture industry. Splendid is specialized in design and manufacturing of leather sofa and leather recliner chair. We don't just stop at making simple design only, Splendid's mission is to manufacture fashionable, comfortable, durable and reliable sofa and recliner chair. It can vary from Sleek Simplicity, Elegant, Lavish, and Nostalgia to Contemporary look and it is available in choice of half or full leather or micro suede that meets consumers' lifestyle and taste in the new millennium. Being trendy and ahead of time is not enough for Splendid, it has to ensure on time delivery and excellent product quality at all times. With our skilled workforce and experiences, we are able to manufacture products with meticulous attention to detail and stringent quality control meets our customers' standard, specified design and delivery requirement.